In those days a decree went out front Caesar Augustus that all the world should be enrolled. This was the first enrollment, when Quirinius was governor of Syria. And all went to be enrolled, each to his own city. And Joseph also went up from Galilee, from the city of Nazareth, to Judea, to the city of David, which is called Bethlehem, because he was of the house and lineage of David, to be enrolled with Mary his betrothed, who was with child. And while they were there, the time came for her to be delivered. And she gave birth to her first-born Son and wrapped Him in a manger, because there was no place for them in the inn (Luke 2:1-7). Now when Jesus was born in Bethlehem of Judea in the days of Herod the king, behold, wise men from the East came to Jerusalem, saying, Where is He Who has been born king of the Jews? For we have seen His star in the East, and have come to worship Him. 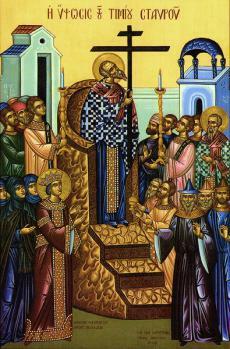 When Herod the king heard this, he was troubled, and all Jerusalem with him; and assembling all the chief priests and scribes of the people, he inquired of them where the Christ was to be born. They told him, In Bethlehem of Judea; for so it is written by the prophet: 'And you, O Bethlehem, in the land of Judah, are by no means least among the rulers of Judah; for from you shall come a ruler who will govern My people Israel/ Then Herod summoned the wise men secretly and ascertained from them what time the star appeared; and he sent them to Bethlehem, saying, Go and search diligently for the Child, and when you have found Him bring me word, that I too may come and worship Him. When they had heard the king they went their way; and lo, the star which they had seen in the East went before them, till it came to rest over the place where the Child was. 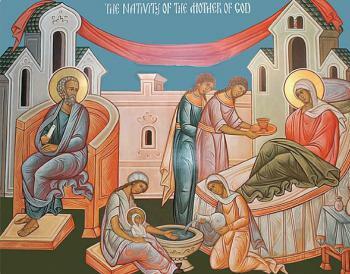 When they saw the star, they rejoiced exceedingly with great joy; and going into the house they saw the Child with Mary His mother, and they fell down and worshipped Him. 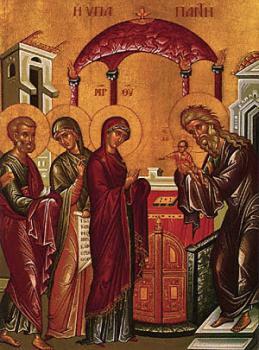 Then, opening their treasures, they offered Him gifts, gold and frankincense and myrrh. And being warned in a dream not to return to Herod, they departed to their own country by another way (Matt. 2:1-12). And in that region there were shepherds out in the fields, keeping watch over their flock by night. And an angel of the Lord appeared to them, and the glory of the Lord shone around them, and they were filled with fear. And the angel said to them, Be not afraid; for behold, I bring you good news of a great joy which will come to all the people; for to you is born this day in the city of David a Savior, Who is Christ the Lord. 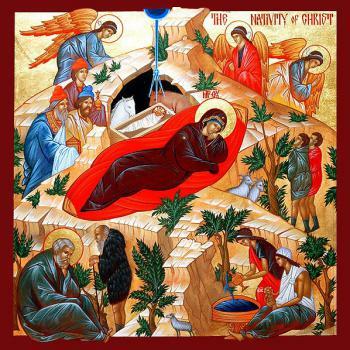 And this will be a sign for you: you will find a babe wrapped in swaddling cloths and lying in a manger. And suddenly there was with the angel a multitude of the heavenly host praising God and saying, Glory to God in the highest, and on earth peace, good will among men (Luke 2:8-14). Now when [the wise men and shepherds] had departed, behold, an angel of the Lord appeared to Joseph in a dream and said, Rise, take the Child and His mother, and flee to Egypt, and remain there till I tell you; for Herod is about to search for the child, to destroy Him. And he rose and took the Child and His mother by night, and departed to Egypt, and remained there until the death of Herod. This was to fulfill what the Lord had spoken by the prophet, Out of Egypt have I called My son. Then Herod, when he saw that he had been tricked by the wise men, was in a furious rage, and he sent and killed all the male children in Bethlehem and in all that region who were two years old or under, according to the time which he had ascertained from the wise men. Then was fulfilled what was spoken by the prophet Jeremiah: A voice was heard in Ramah, wailing and loud lamentation, Rachel weeping for her children; she refused to be consoled, because they were no more (Matt. 2:13-18). As Holy Scripture tells us: In those days came John the Baptist, preaching in the wilderness of Judea, Repent, for the kingdom of heaven is at hand. For this is he who was spoken of by the prophet Isaiah when he said, The voice of one crying in the wilderness: Prepare the way of the Lord, make His paths straight. 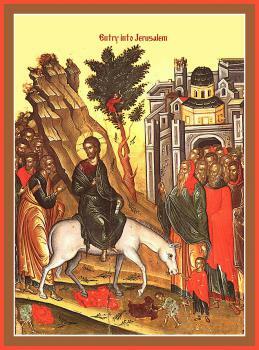 Now John wore a garment of camel's hair, and a leather girdle around his waist; and his food was locusts and wild honey. Then went out to him Jerusalem and all Judea and all the region about the Jordan, and they were baptized by him in the river Jordan, confessing their sins.... [And John said,] I baptize you with water for repentance, but He Who is coming after me is mightier than I, Whose sandals I am not worthy to carry; He will baptize you with the Holy Spirit and with fire (Matt. 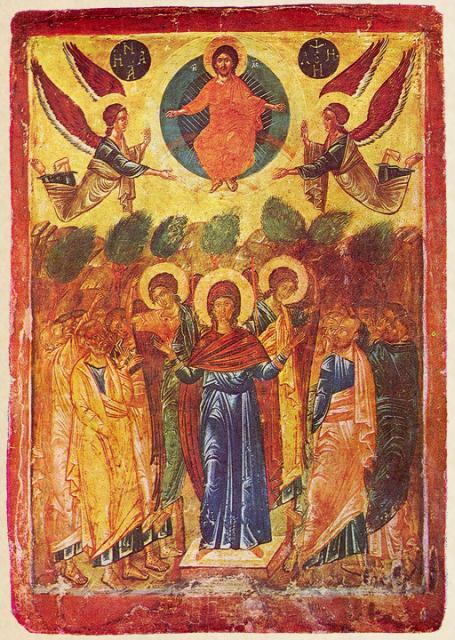 3:1-6, 11). The next day he saw Jesus coming toward him, and said, Behold, the Lamb of God, Who takes away the sin of the world! This is He of Whom I said, 'After me comes a man Who ranks before me, for He was before me' (John 1:28-30). 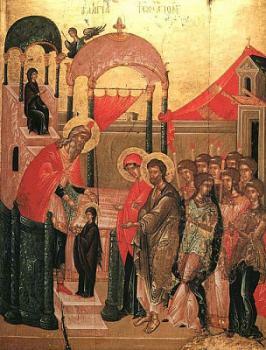 Then Jesus came...to John, to be baptized by him. John would have prevented Him, saying, I need to be baptized by You, and do You come to me? But Jesus answered him, Let it be so now; for thus it is fitting for us to fulfill all righteousness. Then he consented. 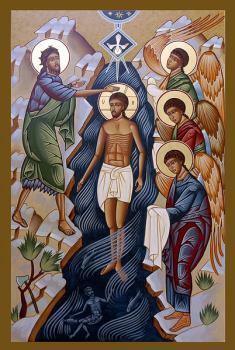 And when Jesus was baptized, He went up immediately from the water, and behold, the heavens were opened and He was the Spirit of God descending like a dove, and alighting on Him; and lo, a voice from heaven, saying, This is My beloved Son, with Whom I am well pleased (Matt. 3:13-17). And John bore witness, I saw the Spirit descend as a dove from heaven, and it remained on Him. 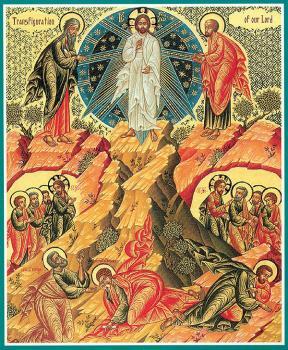 I myself did not know Him; but He Who sent me to baptize with water said to me, He on Whom you see the Spirit descend and remain, this is He Who baptizes with the Holy Spirit. 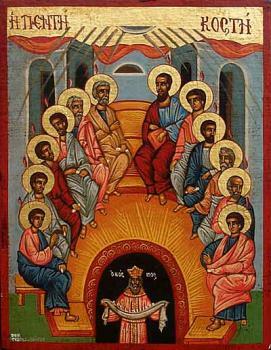 And I have seen and have borne witness that this is the Son of God (John 1:32-34). 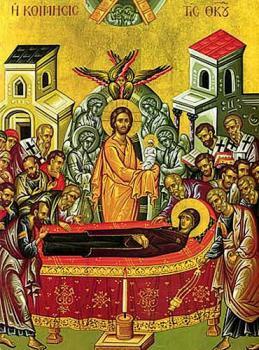 Source: Antiochian Orthodox Archdiocese of North America, http://www.antiochian.org/node/25551.